I’m not the biggest college basketball fan, or much of a college basketball fan at all to be honest. Still, considering the fact that I love sports in general and also enjoy quality basketball, I of course tune into the NCAA tournament every March, particularly as the better match-ups take place in the later rounds or if one of my alma maters is playing. Selection Sunday is actually just a couple days away and then the madness will commence next week but it seems that this year, we’ve witnessed a different sort of March Madness that has nothing to do with college basketball. On Tuesday, the new “league year” began for the NFL and while there were some deals made in principle prior to then, the wheeling and dealing since Tuesday has been pretty fast paced and exciting. Side note, in case you haven’t realized, the business side of professional sports actually does excite me. In any case, it’s almost customary for there to be free agent frenzies in the NBA and even MLB and NHL but it’s a rare occurrence in the NFL. There are a number of reasons why this is the case, not the least of which is the fact that NFL players simply have less leverage and clout than their counterpart in other leagues. This year, the first week of the new NFL league year was met with a flurry of significant and in some cases surprising trades and free agency signings. The moves that have taken place in the NFL to this point even overshadow those that were made in the NBA at that league’s trade deadline just a few weeks ago. Just a sampling of all of the recent moves, in no particular order: Jimmy Graham from the Saints to the Seahawks when he was Drew Brees’ best weapon and Russell Wilson had a crew of virtual nobodies to throw to. DeMarco Murray from the Cowboys to the division rival Eagles after being the league’s leading rusher and after the Eagles came to terms with another starting caliber running back (depending on who you ask) in Ryan Matthews; formerly of the Chargers. Darrelle Revis back to his original team, the Jets, after winning a Super Bowl with the Patriots (who are in the same division) and also proving that he’s still one of the top three players in the league at his position. Speaking of the Jets, they also landed Antonio Cromartie, who also spent a few years in NY, to pair with Revis in addition to trading for Brandon Marshall, a veritable number one receiver after spending a season with Eric Decker masquerading as one. Of course, they still don’t have a quality quarterback although fellow Harvard Crimson Ryan Fitzpatrick will be an upgrade over Geno Smith. 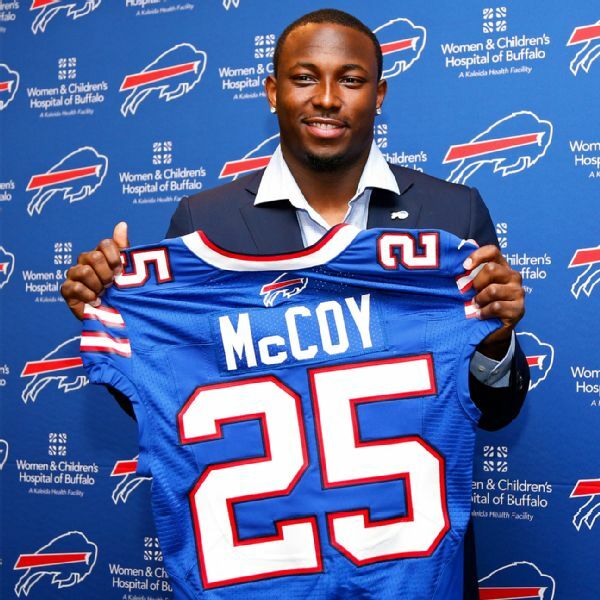 Lesean Mccoy to the Bills in a head scratching trade for Kiko Alonso who is coming back from an ACL tear but just so happens to be a former Oregon player which is apparently all Eagles coach/GM Chip Kelly needs to know (although Alonso admittedly had an unbelievable rookie year). Veterans Andre Johnson, Frank Gore and Trent Cole all choosing to sign with the Colts seemingly make them a contender, depending of course on what type of production the team can get out of those three. Detroit did pick up Haloti Ngata to make up for the loss of Ndamukong Suh to the Dolphins but then ended up also losing Nick Fairley to the Rams, who people are already starting to call ‘Sack City’, just days later. Phew…and that’s just the tip of the iceberg as far as all of the deals are concerned and the new league year is just three days old at this point. There are actually some relatively significant free agents still on the market. It’s tough to say who made the most impactful deal(s) so far although I’d be inclined to say that the Seahawks’ acquisition of Jimmy Graham without losing too many pieces was quite the power move. That said, it would be even tougher to predict who will be playing for or winning next year’s Super Bowl just based off of these recent moves although Vegas now has the Colts and Seahawks pegged as contenders in the big game next February; with the Colts favored to win. I’m not sure I’m buying that but regardless, I have to say that the overall landscape of the NFL has changed quite drastically this past week.